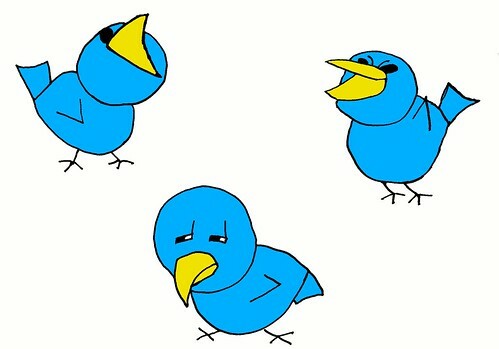 I saw some designs of birds that were used for Twitter, and while they were good, I didn’t like any of them. What better excuse of drawing some Twitter birds yourself? I’m even thinking of creating a comic strip featuring the Tweetbird character. Now I have to prepare for my long run as part of the road to my Fall marathon road race. 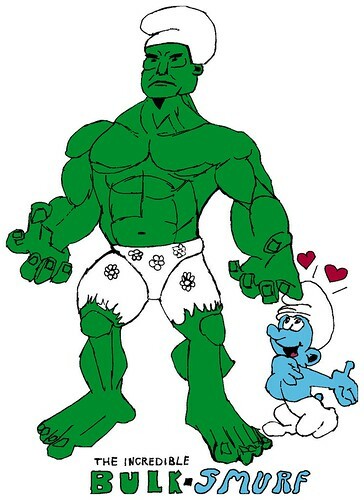 Ok, this was a cross-over of the Hulk and the Smurfs (Schtroumpf). I have never drawn the Hulk, so I more or less drew him in the pose I found him through Google Image Search. The Smurf was slightly altered from the pose on the clip-art image. 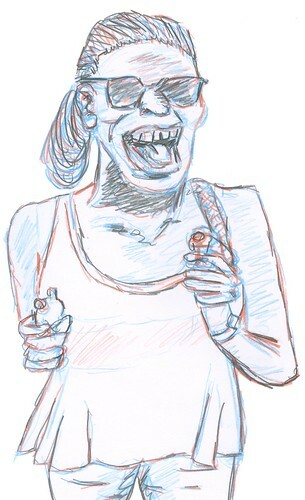 It has been a while, but here is another unknown face, based on a photo I found on the Flickr photo stream. It is only loosely based, more a caricature of the original. The above drawing is based on the sketch I made with red, blue and black pencils. As you can see, that sketch has been altered considerably on the computer. 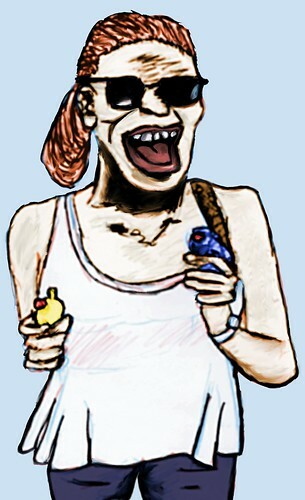 The coloring was based on the original photo, but only as a reference, not by picking the color from the original. It was my first drawing that used a photo as a reference, and didn’t literally copy the photo. Here is the photo.